1857 Harris Teachers College. St. Louis Board of Education opens Harris Teachers College to prepare white teachers for white elementary schools. 1890 Stowe Teachers College. St. Louis Board of Education opens Stowe Teachers College to prepare black teachers for black elementary schools. 1939 Both colleges were reorganized, forming two academic levels: a junior college division and a senior college level (which offered elementary school teacher education, leading to the A.B. Degree in Education). 1954 Harris Teachers College. St. Louis Board of Education merges Harris Teachers College and Stowe Teachers College under the name Harris Teachers College. 1975 Harris-Stowe College. St. Louis Board of Education changes the name to Harris-Stowe College. 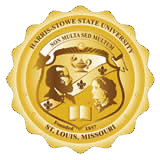 1978 The state of Missouri passes legislation which makes Harris-Stowe College a part of the state’s system of Public Higher Education. 1979 Harris-Stowe State College. The name of the College is changed to Harris-Stowe State College. 1979 Dr. Henry Givens, Jr. appointed and installed as president of Harris-Stowe State College. 1982 The state of Missouri approves baccalaureate degree programs in Early Childhood Education, Middle School Education and Urban Education. 1985 Harris-Stowe receives federal recognition as a Historically Black College - because of one of its predecessor institutions, Stowe Teachers College. 1993 The state of Missouri authorizes the College to expand its mission by offering baccalaureate degree programs in Business Administration, Secondary Teacher Education, and Criminal Justice, and officially includes the word, “State” in the College’s name. 1996 The city of St. Louis gives the College approximately 18 acres of land (the former Laclede Town site) for $10. 1998 The first of six new buildings is constructed on that land, the Southwestern Bell Library and Technology Resource Center, later renamed the AT&T Library and Technology Resource Center. 1999 Harris-Stowe receives the former Vashon Community Center and its land from the city of St. Louis for $10. 2003 The College completes its second building, the Emerson Performance Center, which houses the Board of Regents gymnasium, the Bank of America Theatre and the Whitaker Foundation Art Room. 2004 The College dedicates the U.S. Bank Entryway Arch, emblematic as a gateway to academic excellence. 2005 The opening of the new temporary Anheuser-Busch School of Business in the fall of 2005. On August 26, the College celebrates its official change to Harris-Stowe State University and breaks ground on its first-ever Residence Hall and Student Center. 2005 The former Vashon Community Center - as part of the Harris-Stowe Campus - is officially listed by the Federal Government in the NATIONAL REGISTER OF HISTORIC PLACES. 2006 Harris-Stowe State University becomes a residential campus with the opening of the Rev. Dr. William G. Gillespie Residence Hall and Student Center. 2007 Groundbreaking Ceremony held for the Early Childhood Development/Parenting Education Center. 2009 Opening of the William L. Clay, Sr. Early Childhood Development/Parenting Education Center. 2010 Groundbreaking Ceremony held for the second Residence Hall at Harris-Stowe State University. 2011 Dr. Albert L. Walker installed as president of Harris-Stowe State University. 2011 Opening of the Freeman R. Bosley, Jr. Residence Hall at Harris-Stowe State University. 2013 Constance G. Gully appointed as interim resident of Harris-Stowe State University. 2014 Dr. Dwaun J. Warmack appointed as president of Harris-Stowe State University. 2015 Missouri Governor Jay Nixon signs law allowing Harris-Stowe State University to confer graduate degrees for the first time in history.